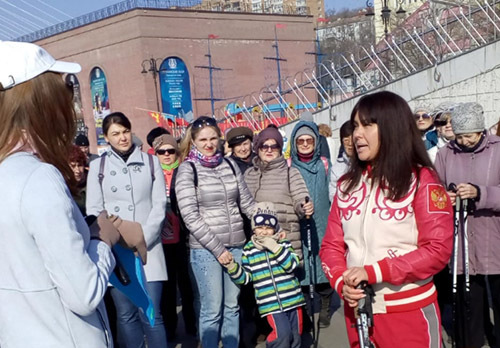 In Arseniev held flash mob "Hot descent in bathing suits"
In Primorsky Region Arseniev city the end of the ski season was celebrated with a flash mob "Hot descent in bathing suits." In Arseniev city flashmob participants in a minimum of clothes was skiing from the top of mounting. 50 participants in swimsuits was skiing along a 2 km long track! 16.02.2018 The far Eastern and Siberian rescuers carry out large-scale exercises in Primorye. 07.06.2017 The first regional festival of Cossack culture "Lubo" was held in Arseniev.